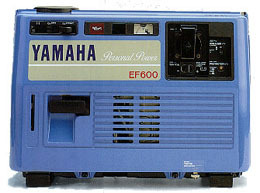 An EF600 Generator service manual is a good investment. Yamaha service manuals walk you through the basic service procedures as well as the more complex procedures for complete rebuilds using diagrams and photo images. A must for the do-it-yourselfer, it walks you through the trouble shooting process. This is the same service manual your Yamaha dealer refers to when techicians need help or just simply need the correct information. Now available as a PDF file you can dowload to your computer, tablet, phone. Add to cart and see all prices before purchase. Contact us if you have questions. Our last manual shipped to Helen in Piscataway, NJ.